Budweiser is truly the King of the Beers in North America. 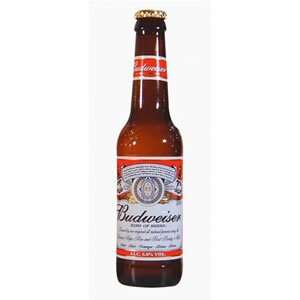 The secret of American Budweiser's fresh taste is that it's made with up to 30% rice in addition to hops and barley malt. 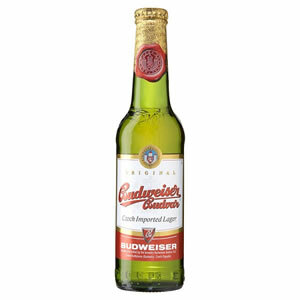 Budweiser Budvar is a different lager altogether, originating from the Czech Republic and although less prevalent than the American version it has gained in popularity. Zepbrook sell both the American and Czech brands to fuel any office social events. 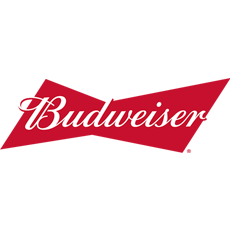 Get your Budweiser beers from Zepbrook tomorrow: order before 5pm if you're in London (or the M25 area). Do you need bottled beers that are not currently listed on our website? Contact us - we can source and deliver many other products for a competitive price. Call us now on 020 8752 0110 or enquire online.